29. Dezember 2013 von b.a. Mit diesem Plugin ist es einfach den Google Kartendienst in Artikel und Seiten einer WordPress Installation einzubauen. Hier die Liste der Funktionen, die sich mit dem Karten-Manager konfigurieren lassen. Das Zeichnen von Tracks und Wegpunkten mit dem Editor ist als Demo der Installation beigefügt und als Pro-Version verfügbar. Hier wird der Karten-Manager im WordPress Editor gestartet. Alle Funktionen sind über die Reiter des Dialogfensters erreichbar. Als Administrator kann man unter Einstellung Google Maps einige andere Einstellungen vornehmen und externe WMS-Kartenserver einbinden. Wer sich mit den WordPress ShortCodes auskennt kann diese auch direkt angeben, ansonsten erledigt das der Karten-Manager. Hier ein paar Beispiele. Drawing tracks and waypoints directly inside the map instead of using GPX are features of the Pro-version. Here you’ll start the plugins Map-Manager. 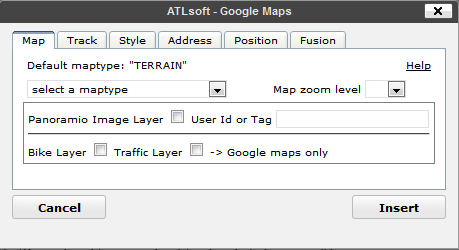 All map settings are done through the map managers user interface. There are some more settings inside the admins Settings Google Maps area. Here you may setup external WMS, OsGeo Web-Map-Service or OSM Open-Street-Maps to your WordPress Blog. If you know how to use WordPress ShordCodes you may put them directly into your posts, otherwise the map manager will do this for you. Here are some sample maps. I’ve been using GPX Viewer for some time now to track our cycle route through Europe. All good until about a month ago. Now, when I click the GPX Viewer icon the dialogue box comes up completely blank (empty) and therefore I cannot interface with the plug-in. I don’t know what has changed. I’ve deactivated and re-installed to try to fix but no luck. Don’t know what to do. We are using WordPress and the my PC is iOS 10.11.6. 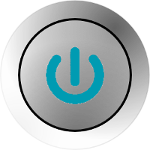 The GPX plug-in is also up to date. Will be most pleased if you have any ideas? Hi Dave, try to deactivate the last installed plugins to find out if there are incombatibilities. I have not installed any new plugins since this issue started. In fact the site has been stable for almost a year so it was surprising that the dialog box is now blank. All other plugins appear to be working well. I have quizzed my wife (who owns the pc) and she said she has removed some programs. Does the dialog box need any p.c based software to display, other than that provided by Safari. Out of interest I also deactivated all other plugins but the issue is still there. I´ve the same issue. First time I recognized this problem was after WordPress-Update to 4.8. I´ve already deactivated all other plugins and tried a original wp-theme. The plugin itself works fine, only the dialogue box is blank now. If I add te shortcut manually it works fine. Thanks for the tip. Have followed your suggestion and uploaded manually through the ftp server. That works but not ideal. Hi b.a. The dialog box still comes up blank. Any thoughts yet? Der Versuch, alle Einstellungen mit ausnahme der Angabe des GPX Files aus dem Shortcode herauszunhemen, war leider auch nicht erfolgreich. Wie muss ich vorgehen, um die Ursache des Problems zu finden? Problem gelöst … bzw. Workaround gefunden! Scheinbar liegt es daran, ob der Browser https und http Quellen akzeptiert oder alles über https haben möchte. Die Installation des Plugins “Really Simple SSL” und der anschliessende Update der URL des GPS Files im Shortcodes von http nach https löst das Problem. Nicht sehr elegant, aber es funktioniert. can you post more info like module/file and line no. of the error? Try to deactivate other plugins to exclude incompatibility. Even if I deactivate all pluins the same alert still remain. The plugin never use this function. maybe someone had the same problems. Thanks! I think it was a template problem. After changing the template everything is working fine and I´ve found a way to include google API-Key. Is there any chance to change the numbers at the elevation chart? I`d like to have only whole numbers without decimals places. and also the cyclemap and outdoors tiles. They now require an API key which we’ve obtained. The map displays with a text overlay without the API key. where z is zoom and x and y define the tile. Leaving out the z, x, y and all the rest works (though with the text overlay). Adding the api key part disables the map. Is there any way of adding the api key without disabling the map? I will happily edit the code! if you need an google maps api key have a look here. 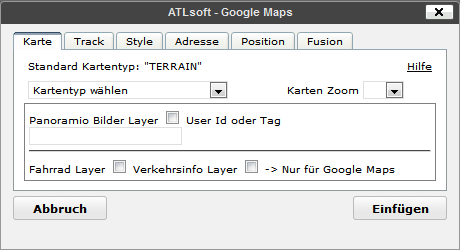 how to create the map like this : http://www.atlsoft.de/poi-marker-manager/ with possibility to turn on/off POI? I dont see such an option. You’ll need the Pro-version of the plugin to do that.